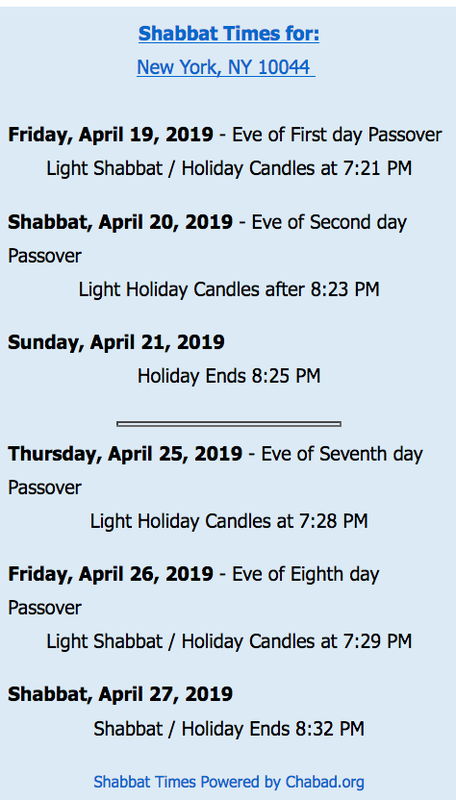 Check out some other ideas on what to do in New York City this weekend from the NY Times Spare Times, Free NYC and Newyorkology. Where Can Roosevelt Island Residents Go To Get Rid Of Old, Unwanted Stuff On America Recycles Day Or Any Other Time? Not At The Island Thrift Shop! I tried the NYC Stuff Exchange search directory for clothing and home furniture donations located within 2 miles of Roosevelt Island's 10044 zip code. Unfortunately, there were no listings for vendors located on Roosevelt Island but there were 20 listings across the East River on the Upper East Side and in Long Island City. 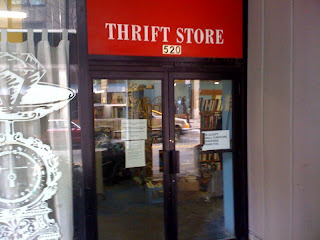 The Roosevelt Island Thrift shop was not listed in the search directory but the Roosevelt Island Public Library was listed as accepting books, CD's, DVD,s and Videos. For the 31 years I have lived here the St Frances Cabrini Parish has always had rent-free space for the use as a thrift shop. This shop serves an important purpose of recycling articles, selling necessities at a low cost and supporting the parish activities. The last few years the shop has been going down hill. It is a sorry site with clutter, dirty windows, and a general dirty appearance and odor about it. As the Eastwood Roosevelt Landings) public lobby areas are cleaned and refurbished the thrift store stands out for its messiness. There are dozens of thrift shops in the city and Queens that are properly managed (as ours once was by Sr. Regina). The parish has a social responsibility to maintain a clean and attractive store, in exchange for not paying for rent or utilities. It is time to take this responsibility seriously. The RIVAA Gallery, Orphans International organizations maintain attractive storefronts and they are not-for-profits. It is time for the thrift shop to emulate them. 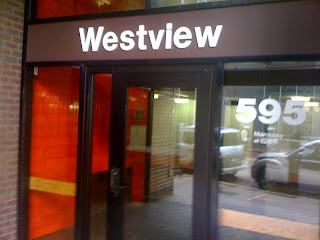 Subletting At Roosevelt Island's Westview Mitchell Lama Building - What Impact Does It Have On Affordable Housing Goal? City officials announced a $21 million deal today to renovate the Luna Park housing complex in Coney Island, under an agreement that would keep the apartments in the Mitchell Lama affordable housing program for another 20 years. Issues of affordability are extremely important to residents of Roosevelt Island's Mitchell Lama buildings at Rivercross, Westview and Island House either in the context of an eventual privatization or keeping the existing rents affordable for middle income residents. That is why the comments from this post on Westview rent hike are so interesting. I am an illegal subletter in Westview. I rent one bedroom in a 3 bedroom apartment, and I pay market price for my bedroom - 1000 dollars a month with very few rights. I am for example not allowed to receive anybody in the apartment, and have to follow rules that the landlady does not follow herself. Me and the other subletter together cover the whole rent for entire apartment, so that the landlady, who obviously has a $100k+ job, lives rent free. Before moving into this apartment, I have visited a number of rooms available for sublet all in Westview and Eastwood, as well as what is now called Roosevelt Landings I believe. They all charged market price. I totally understand that people will defend tooth and nails their entitlements and privileges, and I would do the same if I were in the position. As a taxpayer, I would probably want these apartments to be deregulated, because why would I subsidize people who make as much or much more than I? To the last poster- who is an Illegal subletter in Westview- Get Out- you shouldn't be doing that and the leaseholder should be kicked out. This is against the Mitchell Lama Rules here!!! I have been in WV for over 20 + years and we- my family and I have never broken ONE RULE. If you can afford 1K for one bedroom, get your own apt. in Manhattan Park, or get on the waiting list like alot of other people. If ever reported all the Illegal subletters, they would be kicked out and these apartments would be open to the people who have been on our waiting list for five years or more. We are fighting for our apts.here to preserve some "affordability". Our WV Task Force is currently suing over the last Rent hike of 14.5%. Whomever all you illegal Subletters are- you all need to be kicked off the Island. "if you can afford 1K for one bedroom, get your own apt. in Manhattan Park." I am sorry, I know it is very hard here and everywhere in NYC. I have been trashed here for voicing my opinions after more than 25+ years on this island and residing only in Westview. We know of too many illegal sublets being done by Residents here in WV, Island House, Eastwood, etc. The holders of the leases of these apartments that do this, the illegal subletting are at fault, not you. We, my family and I about over 10 years ago wanted to get a subletter the Legal way, where you report anybody and everybody residing in your apt. on your Yearly "Income Affadavit" form required by any tenant in a ML, i.e. Mitchell Lama building, every April. All the potential subletters did not want to do it, so we didn't get another roomate, instead, we downsized in apt. size. I think personally in your case, it is disgusting to read that your landlady so to speak is making you and your other roomate pay the rent and they make 100K. This Building was conceived for "Middle-Working" Class families. WV was completed in 1977. That is why we have income guidelines, min. and max. If a resident makes above a certain amount of income, they are surcharged. My point is, that these people are taking up apartments originally meant for working-middle class families. Now, WV over the last 15 years or more has all kinds of transplants from Manhattan Park, etc. We have an outside waiting list that is at least 3-4 years long. I have friends in Sloan-Kettering that wanted to move onto R.I., ie.-middle-working class and they cannot. They are native New Yorkers and they should be able to move here. 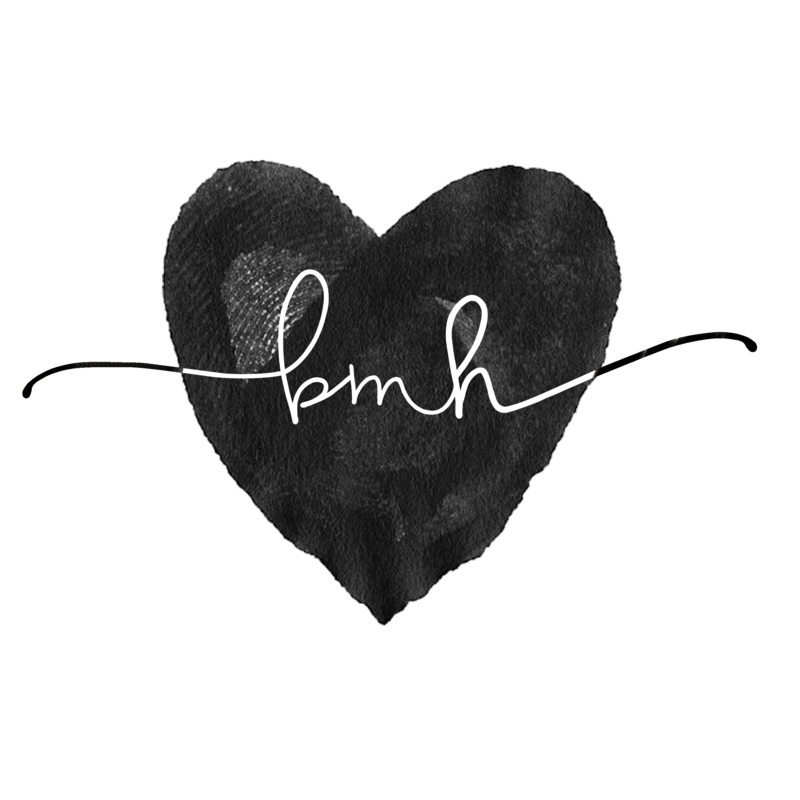 I know that MH-is expensive. WV is going through alot right now, we are fighting for our homes here and who knows what will happen. This Island has been destroyed in so many way for stupidity and GREED on part of NYS, the Landlords, etc. Eastwood, "Roosevelt Landings" is now a disaster due to a horrible deal done there. ...These findings raised serious concerns as to whether individuals living in Mitchell-Lama apartments are approved tenants and whether the owners of record are using their apartments as their primary residences. Pursuant to 9 NYCRR § 1727-5.3(a)(9), failing to use the apartment as the principal residence of the tenant and his family is grounds for eviction. We can all agree with this statement from President Barack Obama. For more on Veterans Day, check out Military.com and Small Wars Journal. You can help Veterans at Reconnect America. On Roosevelt Island you can help active service military personnel by participating in the Cell Phone For Soldiers Program. Thank you for your service to all Veterans and members of the military. RIOC is also posting the Daily and August/September Monthly Roosevelt Island Public Safety Incident reports on their web site. A breakdown of Roosevelt Island Public Safety incidents by location and category (the Blotter) for the months of September/October 2009 is available as well. Lock Out - Tenant reported to PSD that she was locked out of her apartment. Maintenance opened door for tenant. Fire - PSD officer smelled smoke in stairwell. Fire was out upon PSD arrival. Search of area was conducted with negative results. Maintenance was notified. Graffiti - PSD officer observed graffiti on wall. Photos were taken and search of area was conducted with negative results. Noise Complaint - PSD received complaint of noise coming from an apartment. PSD checked area with negative results. Harassment-Male reports to PSD that his neighbor making false reports to NYPD and PSD.NYPD refused. Noise complaint-PSD respond to apartment and also made canvass of area with negative results. Lost property- Female entered PSD to report she lost her wallet and her identification card ,social security card,and medicaid card will make report with NYPD. Unlawful poss. of marijuana-Five males were stop and search possessing marijuana cigarette.One male had 2 bags in pant pocket, summonses was issued. Aided- PSD responded to group home for male, female manger reported male grabbed and pushed her causing injuries to right arm. NYPD and EMS responded.Aided refused transport,and male was esorted out. Criminal Mischief-Damage to a vehicle parked the Motorgate Garage. Search for the subject yielded negative results. NYPD refused. The Motorist stated he will call NYPD later. Aided- Coler Hospital patient fell outside and laceration to the head. EMS transported him to the hospital. Graffiti- Unknown subject wrote Graffiti on a FDNY Emergency call box. FDNY notified. Search for the subject yielded negative results. Domestic Dispute- Husband Pushed wife and she fell on the ground as per the wife. No signs of injury. NYPD and EMS refused. She stated that she was fine. Criminal Mischief-/Disorderly Conduct- Subject struck a business window glass. He sustained laceration to his hand. EMS responded and provided treatment. Transport to the hospital was refused. Subject arrested by PSD. Investigation-Tenant reported that adult son not residing in apt took younger son's apt keys. UA changed the lock. NYPD refused. Possible Aided- Home care nurse requested tenant be checked possible aided. UA and PSD responded. Tenant fine he did not hear the knocking. Grand Larceny Auto in the past-A motorcycle was parked front of Goldwater Hospital 2 days ago. When owner went to motor cycle it was missing. Goldwater Hospital PD did not tow it. Dept of Finance checked and the city did not tow it. NYPD filed a report. Domestic Dispute-Between a male and a female. No injuries. Both uncooperative. NYPD refused. Smoke Condition- Tenant accidently burnt food in apt which caused a smoke condition. No injuries. Minor damage to the kitchen. Reckless Endangerment- Objects thrown possibly from 510 Main Street 10th floor at 3 different individuals in Backwell House Park. No injuries. NYPD refused. PSD conducted a search it may have come from an apt. Tenant notified and stated objects not thrown from apt. PSD monitored the apt and no more objects were thrown. Possession of Stolen Property past- PSD received NYPD complaint. Victim came into PSD. NYPD detective notified. PSD report filed. Verbal Dispute- Between thrift Store employee and 2 females over the prices. Females asked to leave and refused. PSD responded and females had left. Store manager notified. Employee advised to notify PSD if females return. Domestic Dispute- Between mother and 2 daughters over drinking alcohol and arguing. Mother wanted females escorted out. But another daughter/lease holder refused. No injuries and NYPD refused. Daughters ceased arguing. Unauthorized Leave- 3 group home youths left without permission. The Social Worker reported they have done this previously and always return shortly thereafter. NYPD refused. Unsecured Apt- UA reported 2 apts were vacant. PSD conducted a search of the apt. No one inside and no property damage. UA locked and secured the apt. Contractors doing work had not notified UA that the work had been completed. Matter to be referred to UA Management. Stolen Property- A bicycle. Search conducted with negative results. NYPD refused. Water Leak-UA and PSD responded. UA Super believes the source may be a 100 gallons fish tank and will conducted an investigation. Lost Property- A bag. It was returned to the owner. Alarm- At the RIOC office. Search conducted all in order. Employee accidently set it off. ADT0 notified. Domestic Incident/Investigation- Husband and wife had a disagreement over the apt lock. PSD responded and resolved matter. Found Property- NYS Driver's license. It was secured in PSD. Found Property- A reduced Metro fare card. It was secured in PSD. Found Property- A Knapsack. It was secured in PSD. Harassment- Female phone calls and left messages to victim. Victim doesn't know caller. PSD called female who stated she will stop. No further complaints received. Complaint/Investigation- Female alleged that the RIOC bus almost struck her. No injuries. PSD report filed. Aided - EMS and PSD responded to apartment for aided. Tenant was not feeling well and transported to hospital. Dispute - PSD responded to report of dispute between male and female. PSD made search with negative results. Unsecured Premise - PSD responded to unsecured building. PSD made search with negative results. PSD secured door. Aided - PSD and EMS responded to apartment for aided. Tenant was not feeling well and transported to hospital. Unsecured Property - PSD officer observed tenant's property outside apartment. Tenant was not home and notified door station. Property Damage - PSD officer noticed tenant's patio door glass broken. Tenant stated it was already reported to NYPD. PSD made report. Criminal Mischief - PSD observed broken lobby door window. PSD made search with negative results. Maintenance was notified. Water Leak - PSD responded with Super for water leak. Super checked and found no water leak. Criminal Mischief- Female reporter states someone threw brick through window. NYPD responded and report was taken. Aided- Female reporter stated husband fell and needed medical assistance. EMS notified. Male refused medical attention. Reckless Endangerment- Male threw object out window. No property damage or injuries to persons. male is autistic and unaware of actions. Harassment- Female states she is receiving numerous phone calls from an unknown number. Investigation- Female volunteer states she paid fees to RISAR and funds were not returned. incident is still under investigation. Unlawful Poss of Marijuana- PSD officers observed male in possession of illegal substance. Male was summonsed and released. Domestic Assault - Male hit female. male was arrested and transported to 114 Pct. for arrest processing. Papers Served- Child Support papers served to an Island resident. Criminal Mischief- Window broken to an apt. Search for the subject yielded negative results. No injuries and NYPD refused. UA porter cleaned up the glass. Unlawful Possession of Marijuana- Subject arrested by PSD. Aided- Intoxicated female fell in apt and sustained swelling to upper eyebrow. EMS transported her to the hospital. Aided - While playing soccer a female sustained injury to her nose. EMS transported her to the hospital. Investigation - NYPD reported numerous calls of an object in the water. NYPD, EMS and PSD responded. Search was conducted and nothing was found in the water. Domestic Dispute - Between mother and son. PSD responded and spoke to son. Mother notified to call PSD if any further incidents occur. No injuries and NYPD responded. Missing Property - NYPD, PSD responded to an apt. 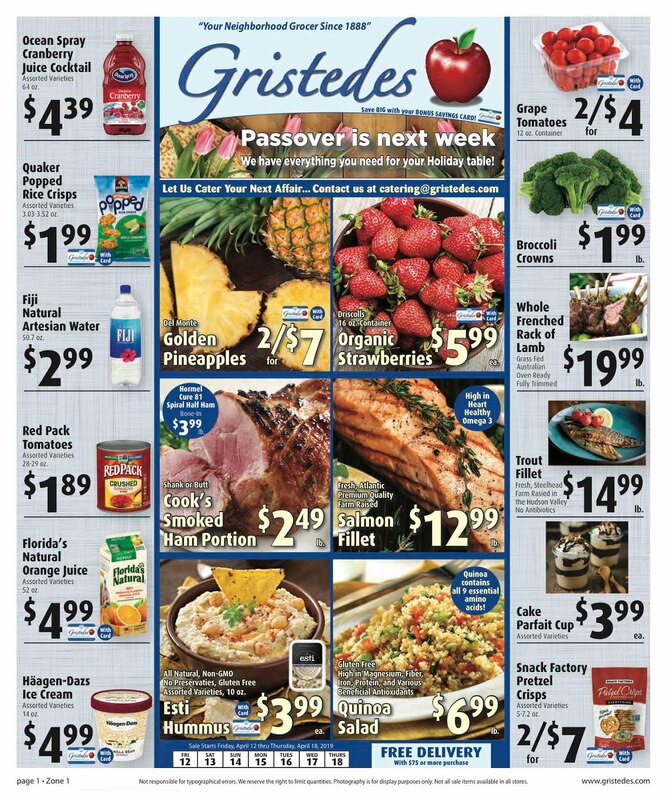 Tenant stated she went shopping for groceries. Upon her return a laptop was missing. No signs of forced entry. NYPD classified the job as missing property. Investigation - Tenant reports unknown subject banging on the door and pushing on it. Tenant stated it twice. Initially she thought it was someone who was at the wrong apartment. PSD to monitor apartment. Found Property - A cell phone. It was secured in PSD. The owner later retrieved it. Harassment - Between a R.I. Resident and another. Victim attempted to obtain an Order of Protection, but was told by criminal court personnel not sufficient evidence to obtain one. Victim advised to notify NYPD and PSD if incident occurs again. Investigation - Tenant stated unknown male allegedly stabbed him with a knife to buttocks. NYPD notified PSD that victim stated he waited 5 hours before going to a hospital on the Lower East side of Manhattan. PSD escorted NYPD to victim's apt but they were unable to contact the victim. Search of area showed no signs of blood in hallway. PSD was never notified of the incident by the victim. Water Leak - From 10th floor to the 3rd floor of a building. RY Super and PSD responded. Source was an unauthorized washing machine in an apt. Matter referred to RY Management. Missing Property - An Island Resident lost a wallet. Search made with negative results. Resident advised to cancel all of his credit cards. NYPD refused. Water Leak - In the Public Safety Office. UA notified and corrected the condition. The office was also cleaned. Vehicle Accident - A Motorgate customer accidently pressed on the gas and struck a guard rail. No injuries. NYPD refused. Central Parking Manager notified. Damage only to vehicle's front bumper. Possible EDP - Mother complained daughter arguing and making a mess in apt. NYPD EMS and PSD responded. Per EMS female not an EDP. Female left apt on her own. This month the Roosevelt Islander Blog exceeded more than 250,000 unique visitors since beginning on July 4, 2007 with a rant against RIOC for charging $18 to view the Fireworks celebration at Southpoint Park. According to Statcounter, since readership statistics started to be kept on September 11, 2007 there have been 252,361 unique visitors to this site thru yesterday. Previous month statistics are here. Thanks to all the readers, those who comment and lend their expertise on particular subjects as well as those who send in their tips, suggestions and messages. Please continue to do so. RIOC Community Relations Specialist Erika Wilder sends the following update regarding the application procedure and criteria for Roosevelt Island Public Purpose Funds. 1. Membership in the subcommittee will be limited to Common Council Members and Alternates in good standing. 5. In the event of questions regarding possible conflict of interest of prospective members, RIRA officers (President, Vice President, Secretary, Treasurer) and the remaining subcommittee members will be the final arbiters. Subcommittee and vote to approve or modify those recommendations and offer them to the RIOC Board of Directors for final approval. 2. RIRA members are expected to disclose such involvement before they participate in any votes. 3. In the event of questions regarding possible conflict of interest, the RIRA Common Council Members will be the final arbiters. 1. Each year, the Subcommittee, will review the Guidelines and Criteria, make any modifications it deems appropriate, and make all such information available to the general public. 2. The Subcommittee will establish a timetable for interviewing applicants, and make this schedule available to the community. 3. Interview sessions will be available to the general public, and there will be a "Public Session" preceding each meeting, where residents can make comments. 4. The Subcommittee may request a private session after the public interview session is completed, so that they can discuss the information presented, plan for next steps, and assign any additional fact-gathering tasks they deem necessary. 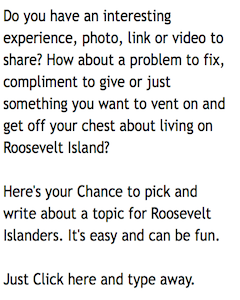 More information about Roosevelt Island Public Purpose Fund Grants is available from RIOC here. Ping Pong Night On Roosevelt Island Cancelled This Week For Veterans Day - But Anyone For Matrix Ping Pong Next Week? Please be advised, due to the observance of the Veterans Day holiday, Ping Pong Night has been canceled. Games will resume on Wednesday, November 18, 2009 at the regularly scheduled time. Anyone for Matrix Style Ping Pong next week? Remember this picture of a crowded, standing room only opening day for Nonno's Focacceria? Well, that was before the recession hit and times have changed a bit economically on Roosevelt Island and the rest of the United States as illustrated in New York On Less from The NY Times City Room blog. The article examines how the recession has impacted Roosevelt Island through the eyes of Nonno's Focacceria and Riverwalk Bar & Grill Owner Alphonso DiCioccio. 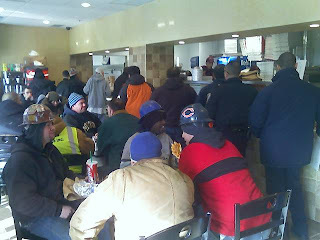 ... At first, business thrived as roughly 200 construction workers came in daily for lunch. After construction work on the island slowed and residents cut back on eating out, he laid off two workers. What has Alphonso noticed on Roosevelt Island since the start of the Recession - more people out of work and more babies too. UPDATE 6:45 PM - More City Room Blog New York On Less stories from other neighborhoods. 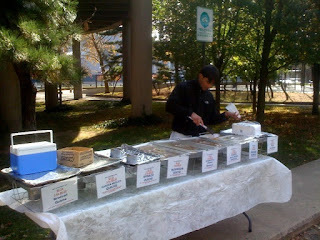 A new vendor made their debut at last Saturday's Roosevelt Island Farmers Market. 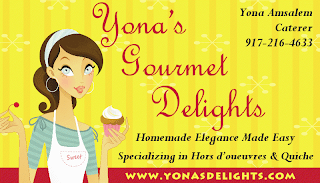 Happy to see that Yona's Gourmet Delights was able to set up shop here on Roosevelt Island. I tried a couple of the Quiches and they were pretty good. Also, would anyone else like to see the Farmers Market add the convenience of accepting credit and debit card transactions as payment. 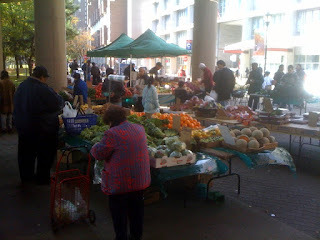 There are occasions when I walk by the Farmers Market and would like to make a spur of the moment purchase. I may not have the cash with me and would like to pay by card. 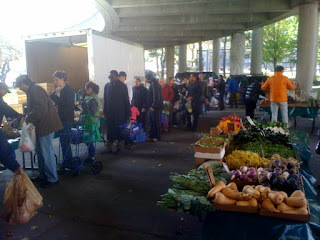 Even here on Roosevelt Island many people use electronic payments rather than cash for their daily purchases and would appreciate the convenience afforded with it's acceptance by the Farmers Market. RIOC President Steve Shane sends the following report to Roosevelt Island residents. Mr. Shane updates us on RISAR Suspension, Pigeon Poop, Possible Library re-location possibility of temporary ferry service during tram outage, RIOC Board Nominees, FDR Memorial, Green Rooms/Wild Gardens, Tram Overhaul, Public Purpose Funding, Main Street Retail Consultant's report, Consultation with RIRA, various local construction projects, and other issues of concern to Roosevelt Island. 1. Board of Directors: November 5 meeting cancelled. Literally, no Board action items on the putative agenda. The nominations of Margie Smith and Mike Shinozaki to the Board and the re-nomination of Dr. Grimm are still pending confirmation by the NY State Senate. Next meeting December 10 at 4:30 PM, Town Hall to follow. (A) Green Rooms/Wild Gardens: The contractor continues rough grading, paths and stone walls; Phase 2 to complete the park, including finish grading, capping, and utilities, fencing and planting to follow. (B) FDR Memorial: RIOC is working with the State and City Parks Departments on integration of funding and oversight mechanics for the $4 million State appropriation, the $4.5 million from the City and at least $8 million from FERI as necessary for Phase I. Legal work is ongoing. The Disabled Association is nearing an understanding with FERI as to location of the disabled presentation of FDR. State Parks has approved an operating and maintenance budget and is in receipt of a $2 million endowment to fund the expenses. November 4 meeting with State Commissioner Ash to discuss allocation of responsibility for implementing the plan and the mechanics of RIOC reimbursement for incurred expenses. More reported next column. 3. RISAR: Pursuant to determination of the State Department of Health and the City Regional Emergency Medical Services Council, RISAR’s authorization to conduct operations on Roosevelt Island has been terminated. A Cease & Desist Order has been issued. Until and unless it is reinstated, RISAR should NOT be called for an emergency on the Island. 4. Pigeons: All are disgusted with the pigeon deposits at the subway and anywhere else they congregate. PLEASE, do not feed the pigeons. In addition to being dirty, they are carriers of disease. Please respect your neighbors. Public Safety will issue citations for feeding the pigeons. 5. Library: We have met with the planning and program folks from the NYPL and they are enthused about the prospect of expanding into 504 Main Street. The first floor would be ideal for them, but the details of funding remain to be worked out with the City budget. Stay tuned. 6. Tram: On schedule for shutdown March 1, 2010 and reopening end of August 2010. See renderings of the proposed Tram stations on our web site. Regular monthly progress meetings with architects, engineers, POMA, expediters, City and State agencies, etc., all to move to an orderly execution of the project. Routine brake, track rope, cabins, hangers, etc. inspections are being performed. 7. Projects: Work is ongoing on many projects and others are being completed. Motorgate lighting experiments continue; resurfacing and waterproofing work await finalization of asbestos abatement plan resulting in postponing until Spring. AVAC fencing completed and enclosure work under way. Swimming pool at Sportspark is closed for repairs to be reopened by November 9. Rehabilitation of the gym (bleachers, flooring and padding), ADA compliance and installation of a fire safety system is underway. RIOC is studying solar panels for the rooftop of Motorgate with NYPA. Octagon sewer connection restoration from the water tunnel to begin, allowing reopening of the comfort station. Octagon field back in operation with natural surface, pending final conclusions about artificial surfaces. Planning for new Blackwell Park is an ongoing collective effort to incorporate various community constituencies. 8. Southtown Buildings 5 and 6 are being occupied. 9. Main Street Retail: The final consultants’ report is posted and has been made available to the blog sites and the WIRE. Much to think about. 10. Coordination with RIRA: A long list of matters of common interest is being discussed so that everyone’s input will be available. Parking, red bus scheduling, Good Shepherd Plaza, landscaping, public purpose criteria, budgeting, etc., etc. 11. Ferry: Explored temporary service at the existing pier at the meditation steps while the Tram is out next year, but underwater rock formations make spud pier infeasible. Now reviewing the old oil dock on the east channel behind the steam plant. Subject to engineering clearance, approvals from the Coast Guard, and if there is sufficient ridership interest based on surveys for a service to 32nd Street and maybe on down to Wall Street during rush hours, with a business plan which RIOC would have to subsidize to some level (to be determined, subject to Board approval, but guesstimated to be approximately $100,000 for 6 months), if, if, if….Will keep everyone posted. The City’s indicated schedule for proceeding with the proposed ferry service at the Octagon is end of 2010, at best. 12. Public Purpose Fund: RIOC has completed auditing the 7 awardees from the 2009 award cycle as to both financial and performance results. The information will be made available in the review and selection process. For interested parties for the 2010/11 cycle, see the RIOC website. RIRA will again be asked to give recommendations and the ultimate funding decisions will be made by the Board to be included in the next RIOC budget. 13. Blackwell Park: Community planning is ongoing, with several divergent views presented. Group meetings involving many stakeholders will surface opinions of different perspectives. 14. Red Buses: With an accelerated delivery schedule, two new Hybrid Buses are delivered and should be integrated into the fleet and on the street by next week. Look for Numbers 5 and 6. 15. Halloween: A happy, peaceful holiday was enjoyed on the Island. Especially the small ghosts and goblins. This message was also published as the RIOC column in the 11/7/09 Main Street WIRE.